Just like anyone else who works in front of a computer every day, I suffer from chronic wrist pain. While I don’t spend all day long tapping away on a keyboard, I do tend to clock at least a few hours every day at my desk in the office. So it’s not really surprising that my wrists suffer. This is probably TMI, but I’ve actually developed a cyst in my left wrist that makes things like long hours at the keyboard a struggle. It’s especially aggravated whenever I do heavy lifting, and has made yoga (namely any positions that put weight on my wrists) pretty excrutiating. The good news is that it hasn’t started to press on any nerves in my hand yet, which would necessitate surgery, so it’s just something I have to be careful with. At my annual check up, I made it a point to ask my doctor for strategies to improve the strength of my wrist, and she had a few tips and tricks to share. Happily, the simple exercises she explained to me that day in her office are all things we can do in our own offices while carrying out normal day-to-day tasks. 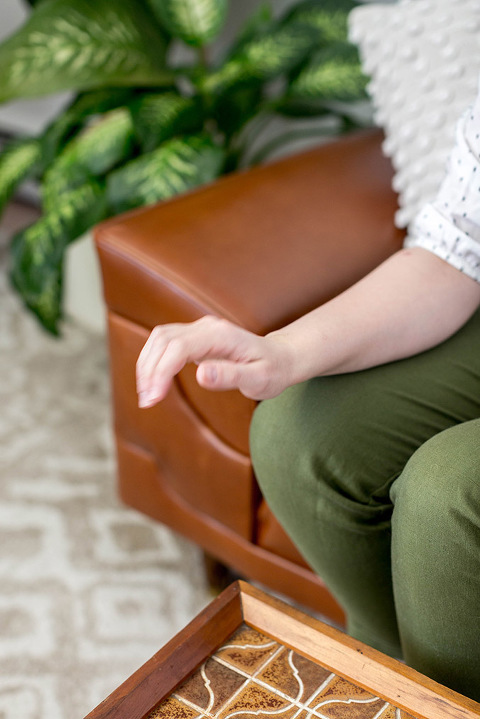 Scroll on for three step-by-step at-home exercises that will help improve wrist strength and reduce the effects of wrist tendinitis. Rest your forearm comfortably on your knee or a table with your affected wrist and hand extended out, palm down. 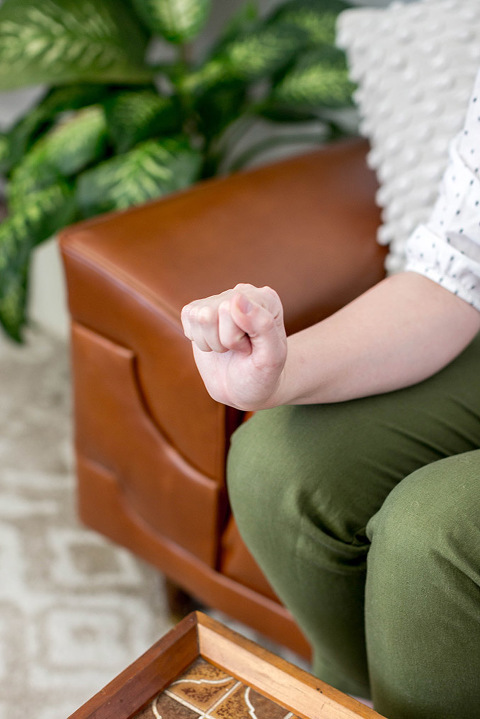 Slowly bend upward at the wrist and allow your hand to close into a fist, then lower your hand and relax your fingers so that they point downward. Hold the two final positions for roughly 6 seconds each. Repeat 7 to 10 times. 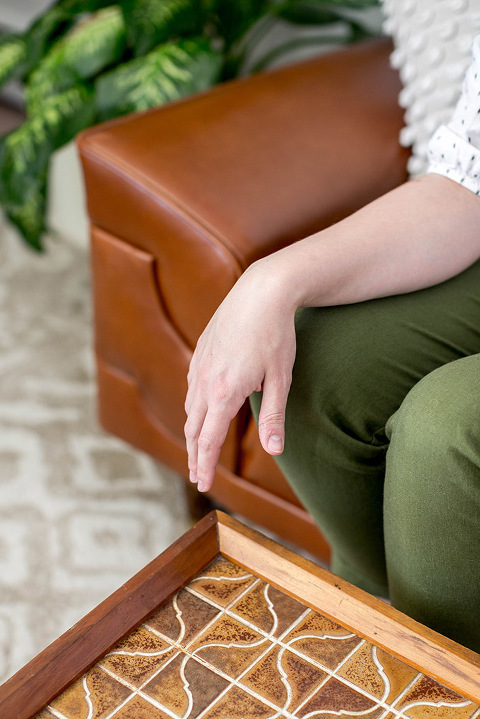 Sit in a comfortable position, and extend your affected wrist and hand, palm down, beyond your thigh. With your forearm held in place on your thigh, rotate your wrist so that your palm faces up. Rotate just your wrist so that the palm now faces down. Alternate these two positions—palm up and palm down—while leaving your forearm planted solidly on your thigh. Hold the two final positions for roughly 6 seconds each. Slowly bend back and forth as far as you can at the wrist. Hold the two final positions for roughly 6 seconds each. Slowly start incorporating these types of wrist flexion and extension practices into your daily routine, and ease off of them if you start to experience more pain. While these exercises have certainly allowed me to find relief from my pain, you’ll want to consult a licensed practitioner for best practices when it comes to your own wrists and body. Do you suffer from chronic wrist pain? Have you found any exercises or practices to help relieve stress on our joints? I’d love for you to share any and all tips in the comments below!